Every November, industry leaders gather for the annual IAAPA Attractions Expo and, in most years, do so at the massive Orange County Convention Center in Orlando, Fla. This is hardly a surprise considering that Central Florida contains one of the highest concentrations of large parks in the country. Oftentimes, you’ll see contingencies of Disney, Universal, Legoland, Busch, and SeaWorld leaders touring the show floor seeking that next big thing. While those large park innovators are at IAAPA looking to the future, this issue of The Large Park Report will look back at some of the biggest large park news from 2016. 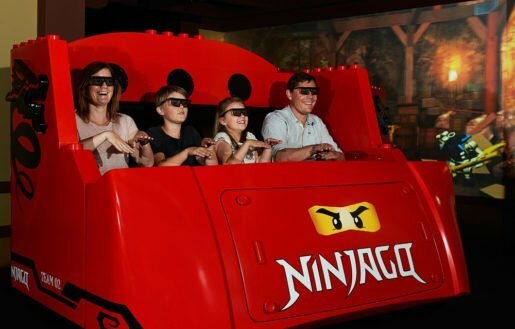 Ninjago at Legoland is based on the fast-selling Lego toys and the popular TV shows. Photo by Chip Litherland. While Central Florida typically dominates yearly highlights, this year Universal Studios Hollywood arguably made the biggest news as the boy wizard and his cast of characters headed west for a California version of The Wizarding World of Harry Potter. To be clear, the western Potter World replicates much of the original Islands of Adventure version (though it does add a new dining and shopping option). The biggest difference though is a substantial upgrade in audio/visual and ride mechanism technology since the original Florida Potter opened in 2010. This means that the signature Forbidden Journey thrill ride is more intense in almost every sense. Not to be outdone, Universal Hollywood’s sister park in Orlando saw the return of the great ape in Skull Island: Reign of Kong, a new thrill attraction at Islands of Adventure. Skull Island actually marks the return of King Kong to Central Florida following the 2002 closing of Kongfrontation at Universal Studios Florida. In this remake, Universal Creative borrowed from parts of King Kong: 360 3-D at Universal Studios Hollywood in creating a new immersive experience. The ride mechanism and screens are cutting edge but the biggest buzz resulted from Skull Island’s heavily themed and interactive queue. If there was a “Queue of the Year,” Skull Island would be the hands-down winner. Over at Disney, the biggest 2016 attraction could also be found in California as Disney’s Imagineers revamped Luigi’s Flying tires (easily the most underwhelming attraction at the otherwise smash hit Cars Land area) into Luigi’s Rollickin’ Roadsters. While the footprint of the attraction remains largely the same, the most significant feature of the new Luigi’s is that it represents Disney’s first domestic use of a trackless ride system. Though Disney has introduced trackless attractions at its overseas resorts (beginning with Pooh’s Honey Hunt at Tokyo Disneyland), Luigi’s represents the amusement giant’s first introduction of a truly trackless attraction stateside (note: rides like Epcot’s Universe of Energy and Hollywood Studios’ Great Movie Ride did not use tracks but did guide you on a defined path via floor-embedded wires). If you sense a California-theme to this column, then your senses are serving you well. 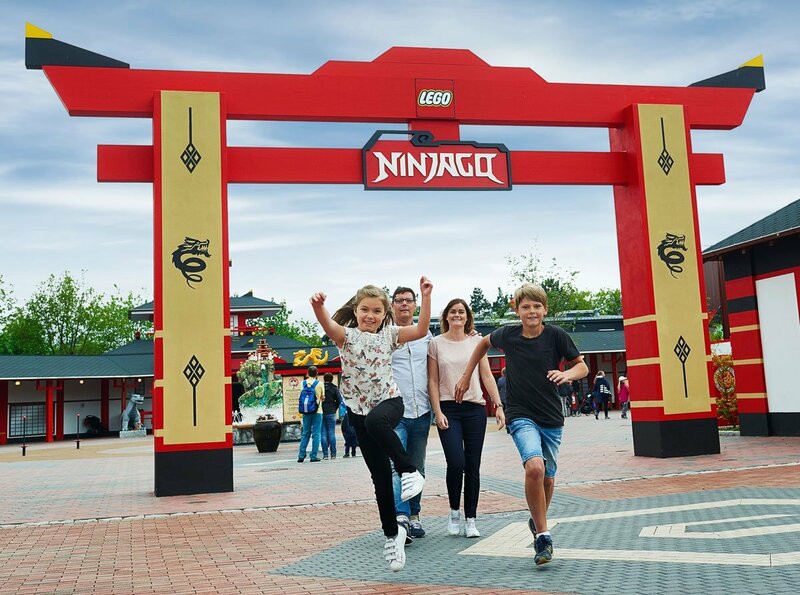 In this case, it’s Legoland’s decision to debut a new Ninjago attraction at its California resort rather than its Central Florida park. 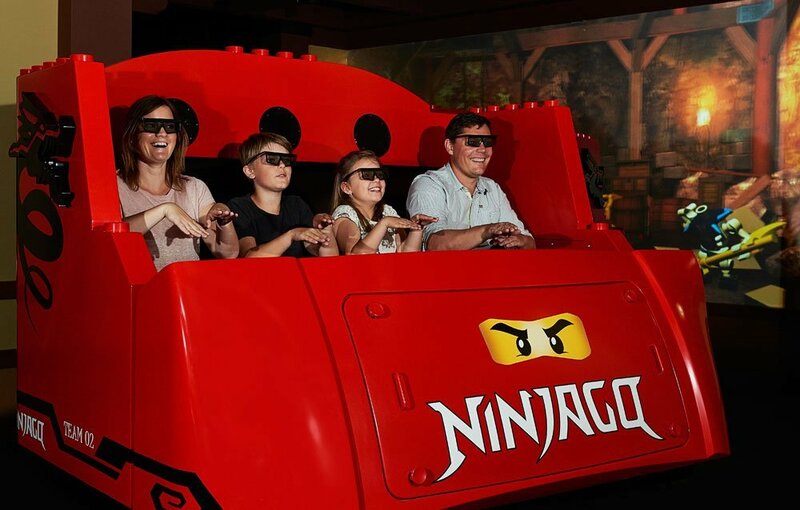 Based on the fast-selling Ninjago Lego toys and popular TV shows, this new 4-D attraction allows riders to interact directly with the attraction similar to rides like Disney’s Toy Story Mania. The unique twist here is that, rather than holding a weapon or other device to interact, Ninjago acts like an Xbox Kinect and responds directly to the riders’ hand movements. By simply moving their hands, riders can score points by throwing projectiles like lightning bolts – making Ninjago one of the most sophisticated, interactive dark rides in the industry and easily the biggest dark ride innovation in 2016. By simply moving their hands, riders can score points by throwing projectiles like lightning bolts while on Ninjago The Ride at Legoland. While the West Coast generated major headlines at the industry’s large parks and resorts, two Central Florida parks debuted massive new rollercoasters in 2016. 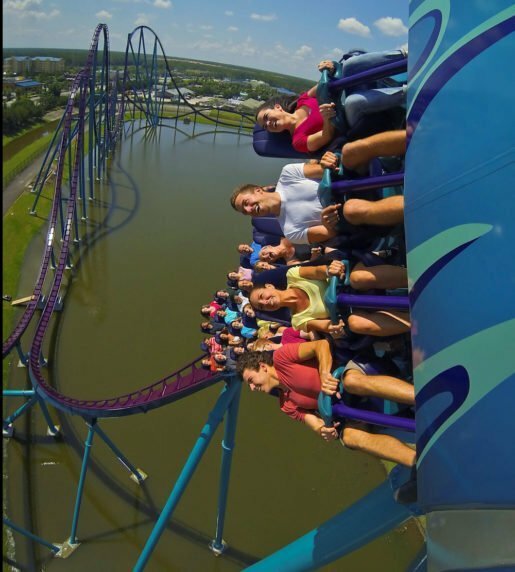 This June, at Orlando’s SeaWorld park, guests first experienced Mako—a new steel, hyper coaster that reaches 200 feet and 70-plus mph while twisting and turning rides in almost every imaginable direction. Meanwhile, just down Interstate 4, visitors to Busch Gardens were introduced to Cobra’s Curse in 2016. Cobra’s Curse utilizes an elevator lift system to take riders 70 feet into the air before dropping them into a steep dive. That alone would generate exciting thrills but the coaster also uses spinning ride cars to bring another element of excitement to the Curse. In June 2016, at Orlando’s SeaWorld park, guests first experienced the new steel, hyper coaster Mako. Over the last three years, Dollywood has invested multi-millions in adding new attractions to the Gatlinburg area park. In 2016, the park debuted its most expensive ride ever—the Lightning Rod roller coaster. The debut was not without its challenges though as the coaster opened and closed several times for technical reasons. Eventually, Dollywood resolved those problems and the result is outstanding. Billed as the world’s first “launched” wooden coaster, Lightning Rod also stakes its claim as the world’s fastest wooden coaster. With a top hill of 165 feet and top speed of 73 mph, the coaster may well revolutionize the future of wooden rollercoasters and their thrill capacity. With other large parks operators like Six Flags and Cedar Fair opening major coasters and mainstays like Disney World bringing Frozen characters to the theme park world, 2016 has been a year of innovation and thrills for the industry’s large parks and resorts. And, if you happen to notice a group of large park operators touring the IAAPA show floor and paying particularly close attention to a new innovation, you might just be witnessing an early preview to 2017 and 2018. Enjoy the show, and see the January 2017 issue of Tourist Attractions & Parks for a look at what is to come in the New Year and beyond at a selection of large parks.